Welcome to a classic edition of our weekly trivia challenge, in which we test your knowledge of all things fly fishing and where you might learn a thing or two about this sport we love. This week, we’ve got ten questions about fish records, species identification, and more! The last quiz must have been pretty easy, as eleven people scored 100%. There were an astonishing twenty-one 90% scores, and the most common score held steady at 80%. 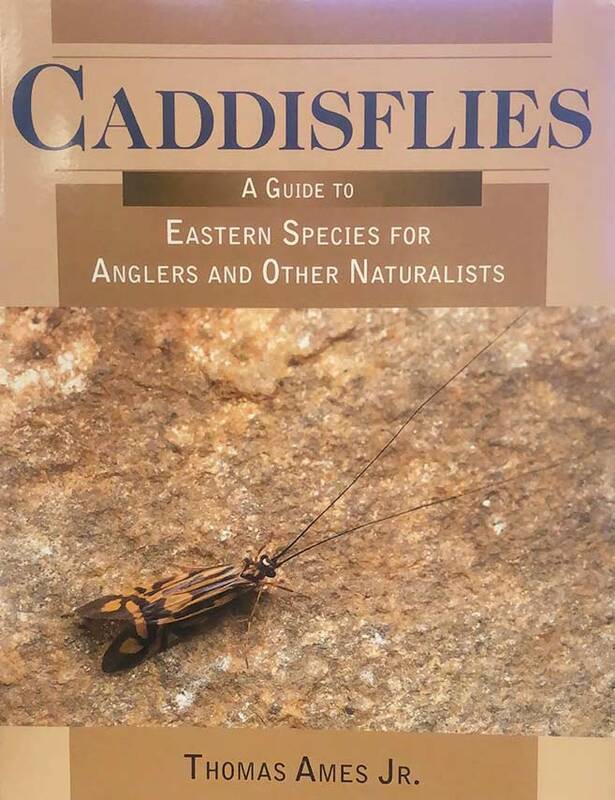 The winner of this week’s random drawing will receive Thomas Ames Jr.’s new book Caddisflies: A Guide to Eastern Species for Anglers and Other Naturalists, from Stackpole Books. For this book, Ames traveled from the southern Appalachian highlands to the Canadian Maritimes to collect, study, and photograph more than 100 species in 55 genera and 20 families of the caddisflies that fly fishers are most likely to encounter on the lakes and streams of the eastern United States. The winner of our last quiz, and recipient of Devin Olsen’s Tactical Fly Fishing, is Jacob Green. His swas one of the 90 scores, and it was his borthday! Solid 50%. Not bad for me. 80%, my PB so far! 50%. Not bad since I guessed on 90% of them. 100% easy peasy lemon squeezy. 70% to a more challenging quiz this week, or I was smarter last week. 90% best score to date! 70% pretty good for me! 80%… this must have been one of the easier ones! 40% bummer, I love how there is so much to learn. the best life long hobby! 70%. Moving in the right direction to be ready for Opening Day. 20% Bummer. Next time I’ll put my glasses on. Always enjoy the trivia. thanks! I am fairly happy with my 70. 60% – About average for me. I’m probably wrong but I thought Montana quit stocking streams but still st ocks certain lakes. Just whining about another low score. 70% – I’ll take it, since I’ve never heard of coasters or a bucktail frog. 60% better then my norm!